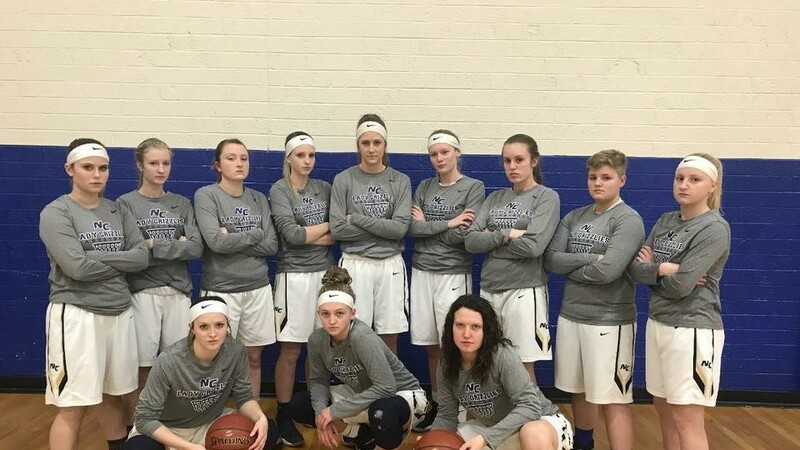 The Nicholas County Lady Grizzlies and their coach Tom McGirl are very pleased with the wonderful season that they are having. With a record of 17-4, they have the first seed in sectionals as they kick off on Tuesday, February 20, here at NCHS. The Lady Grizzlies have a great chance of going to states as states start on March 7-10 at the Charleston Civic Center. Anna Hamilton has reached her goal of scoring one-thousand points during her high school career against Bridgeport High School on January 15th. “I couldn’t have done it without my team. This has been a goal of mine since freshman year.” Anna says. Anna was announced at the game for scoring her 1,000th point and was rewarded a basketball with the NCHS logo on it. No matter what the future holds for this season, The Lady Grizzlies and their coach are proud of what they have accomplished.